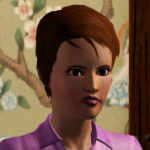 Josie didn't have a waking wish but she had a wish to catch a new type of fish locked in from the previous day. 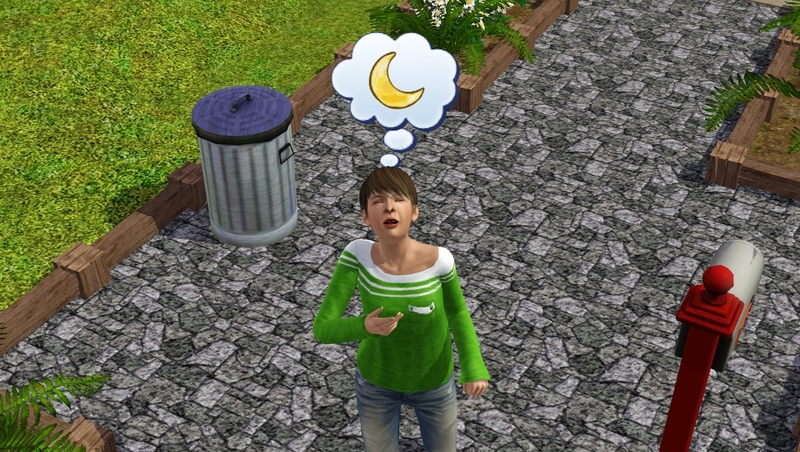 Jaxon's waking wish was to play catch. He also rolled a wish to play catch with Josh over breakfast - two wishes in one hit! I saw Ian embedded in the front of the school bus while I was watching the kids run to catch it. 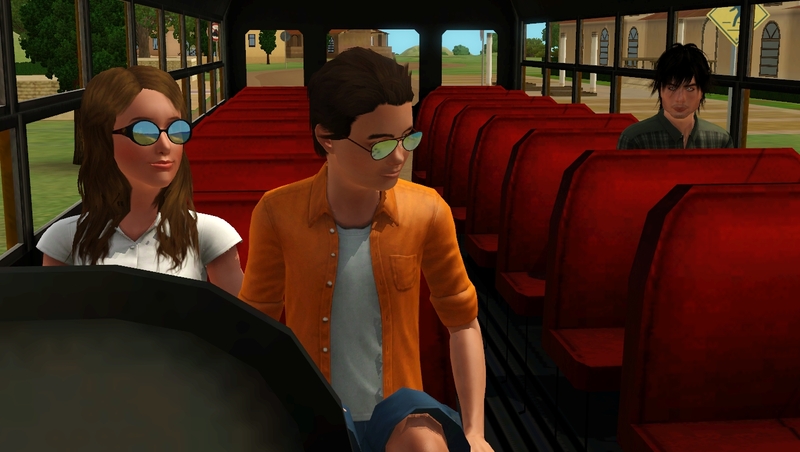 That is not how you get on a school bus, Ian! 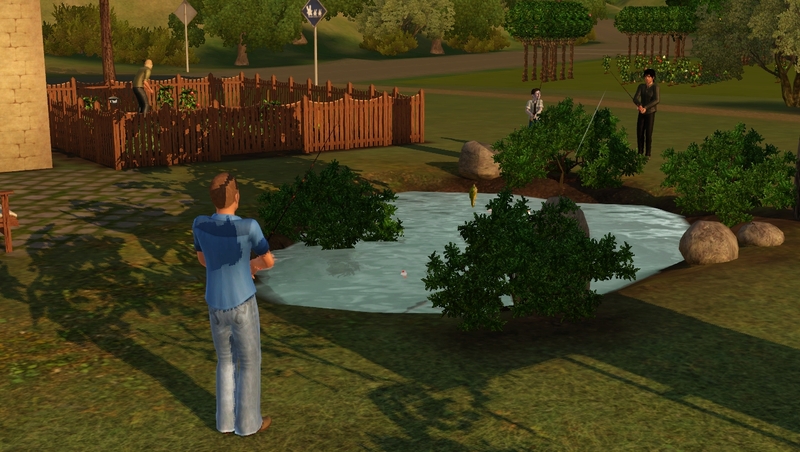 Both Jason and Josh have wishes to master fishing locked in. 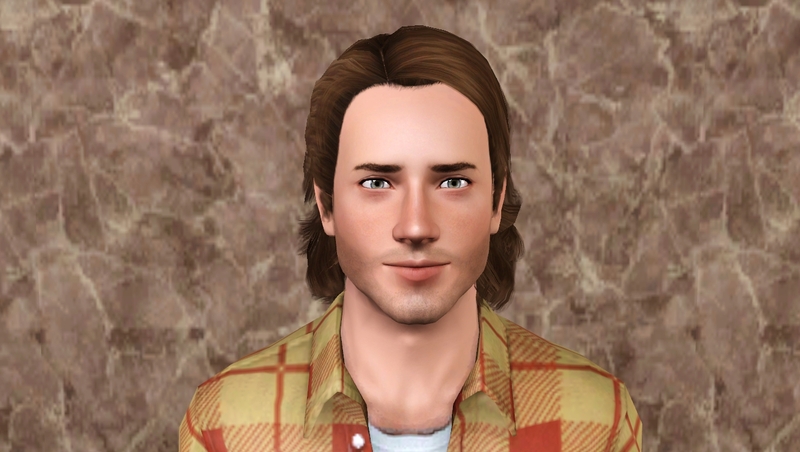 Jason is just a whisker from doing so and Josh is very close to reaching level 9. 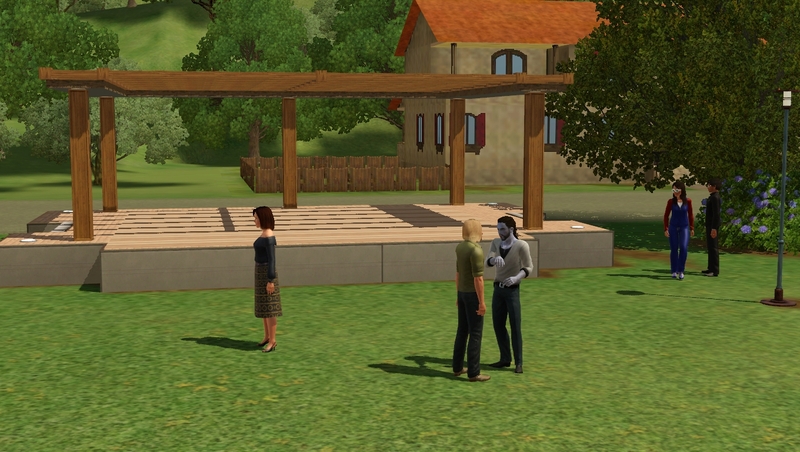 I got a popup that a simfest had started so I sent the big boys. 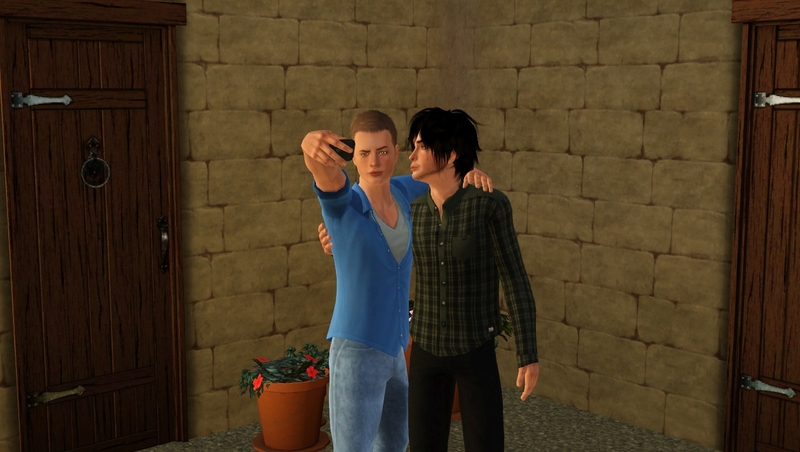 The boys flirted for a while when they got home but separated to do their own thing. Ian and Paul got home early. 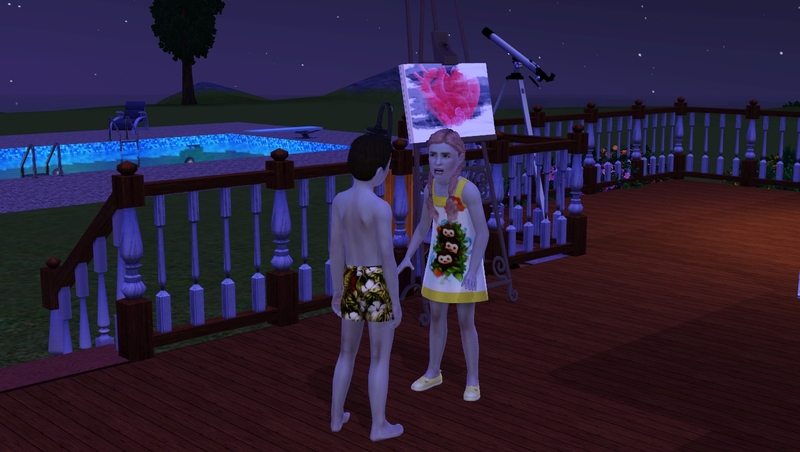 I pulled them out of art class the day before so they wouldn't be late for Prom but forgot to enroll them in something new. Not that it would have mattered because after school classes are cancelled on field trip days. The children got home late because of Scouts. Josie came home with a wish to play tag so they had a quick game before dinner. 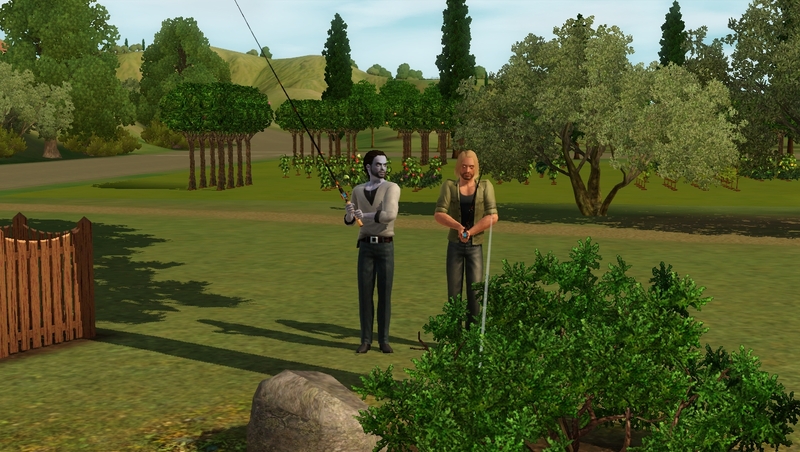 Josie and Paul fished while Jason and Josh watched the stars. 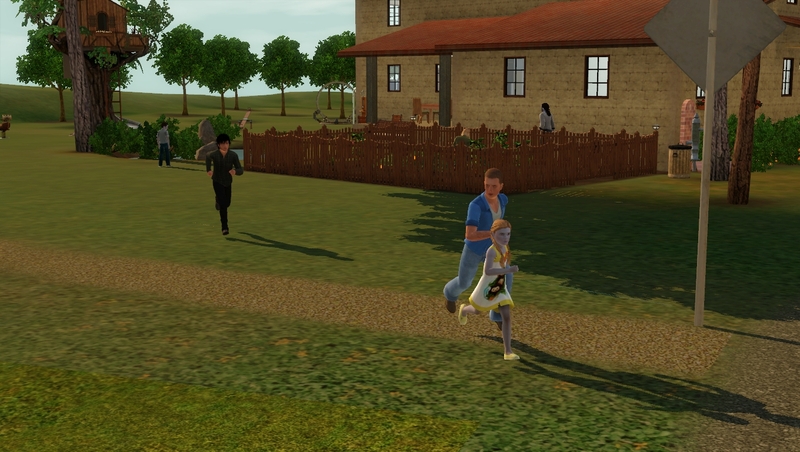 Poor kids always running to the bus . Ian looks like he wants no one to go to school today . 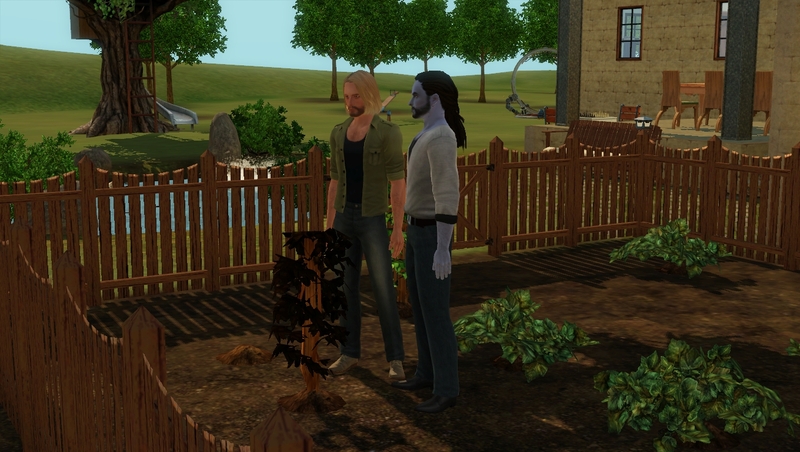 Lol @ Jason and Josh staring at the dead plant. No tears at all though . 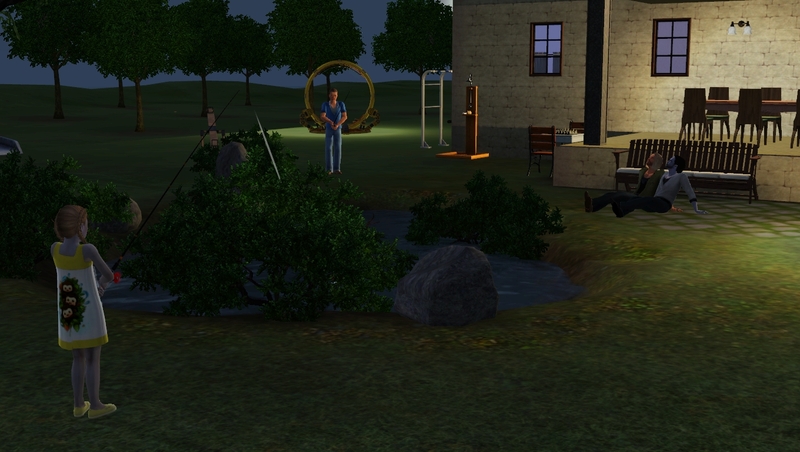 Too funny about the townie enjoying the show that wasn't there - I've seen the same thing happening in my game . Ian looks grumpy in the bus. Jason got his favorite dinner this time . 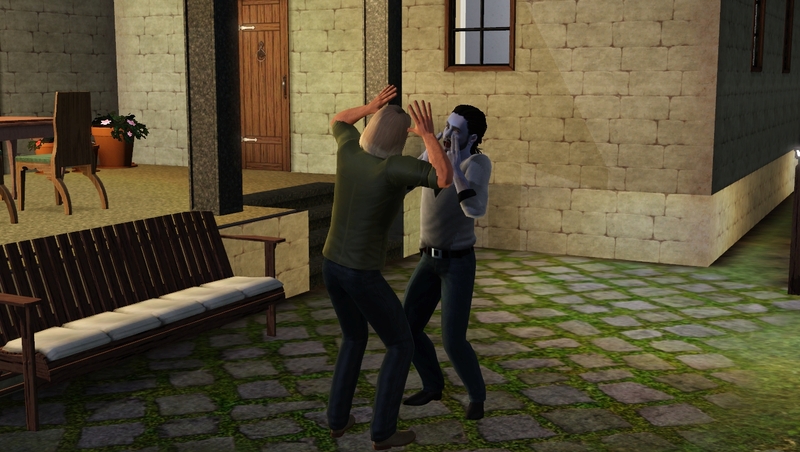 I think real men might usually be a bit more mature than The Sims 3 men . @Mikezumi Sorry the table routing is still slow for meal times. Strange. ...Jaxon got a 2-for-1 activity wish fulfillment. ...Ian was hit by the bus, but lived to ride again. Ha! 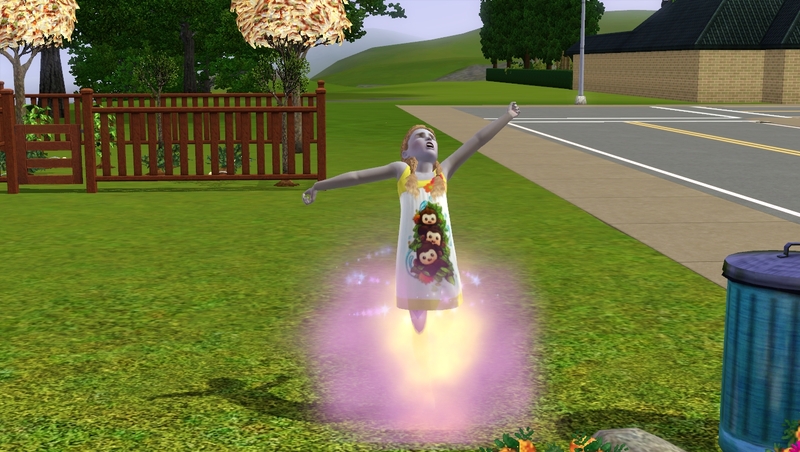 ...Sims cry over dead plants, but I always think, "Yay, one less plant for them to deal with before I need to plant more." 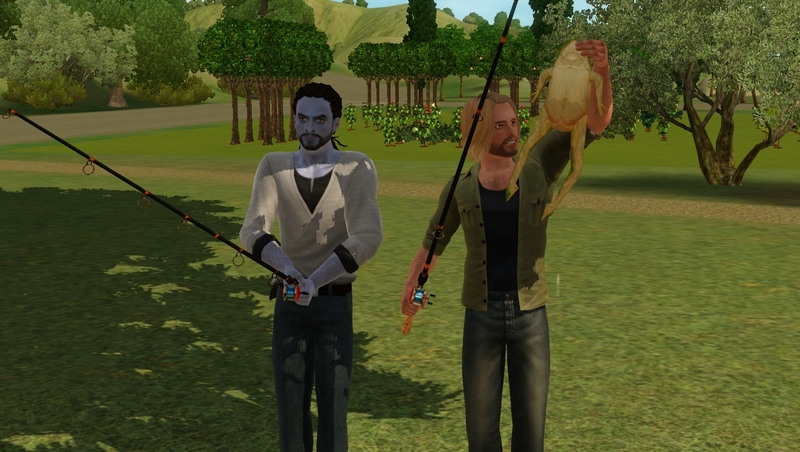 LOL ...Jason and Josh are becoming top notch fisherman now. ...The performer who wasn't there. One of Showtime's annoying quirks. 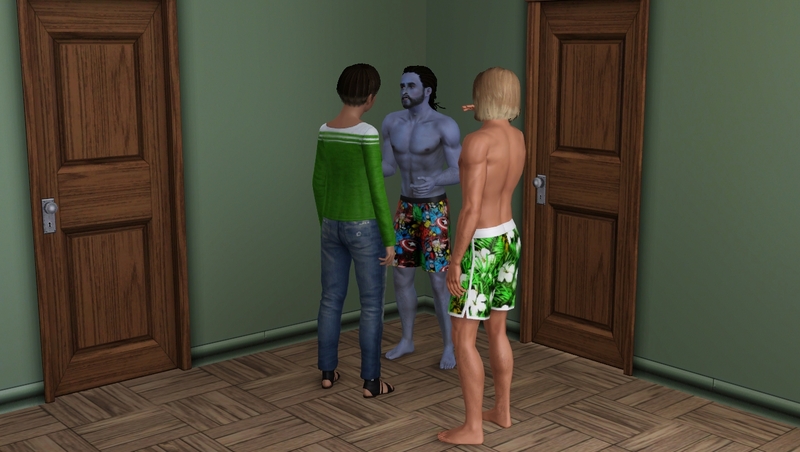 I have a mod that helps with invisible sims, but it doesn't always work with performers. Something else wrong there, I guess. ...Fun trampoline pic. 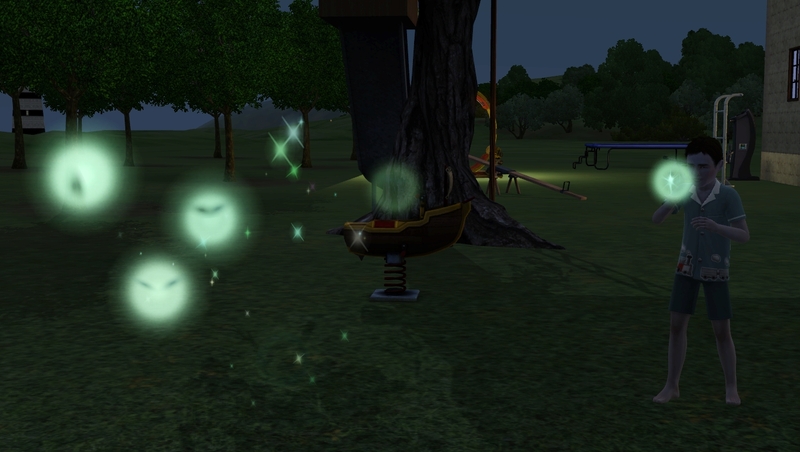 ...Love all the will-o-wisps your game gets! Cool that you've managed to capture 3 different colors so far. Ah, yes, I can see how it’s the other way around (because you played them first?). 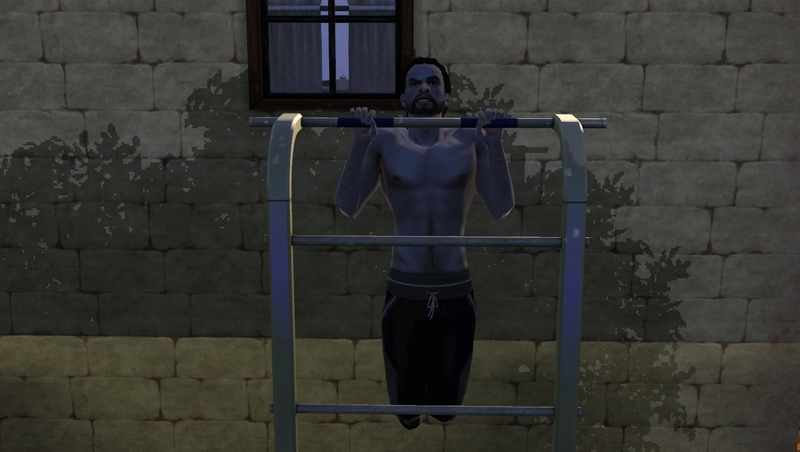 Jason is kind of special to me, because I witnessed the process of you deciding on adding him to the household, improving his looks and now he’s really part of the family (plus he’s a genie ). 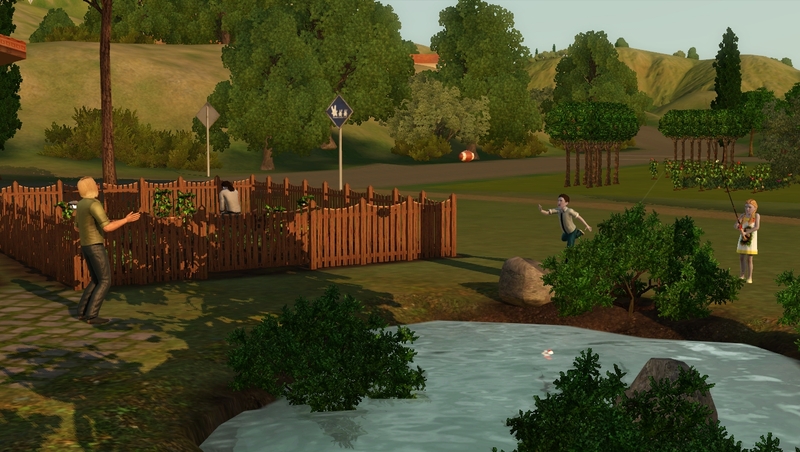 I love how that just happens in this game, sims will find their way into the player’s heart. And it’s funny how the boys apparently feel comfortable around him. 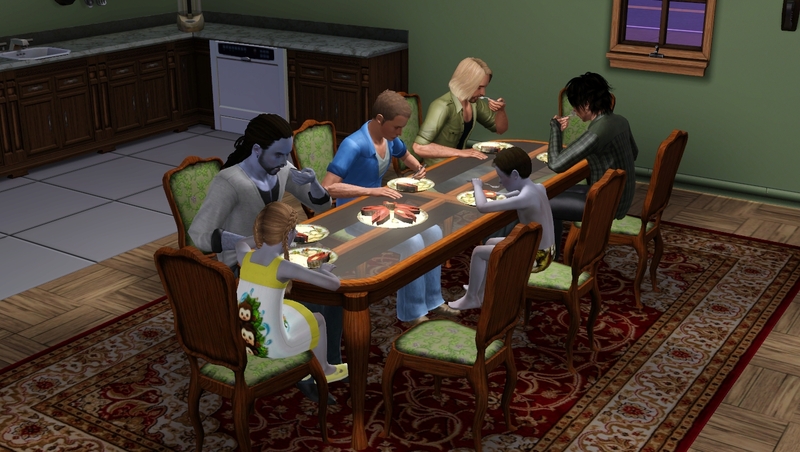 It’s just too bad how eating together is handled in this game. 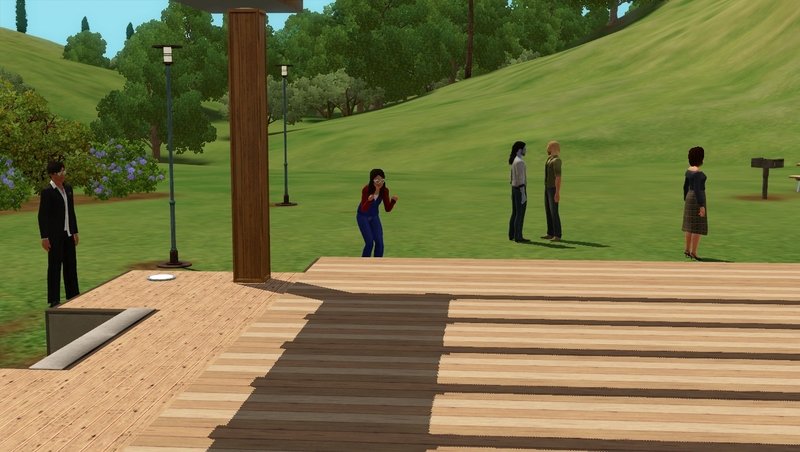 I really wish they would all automatically wait for each other when you use the ‘grab a plate’ interaction before starting to eat. That should be possible to design I’d say. And them automatically choosing the same table. Is that what the mod is supposed to do? 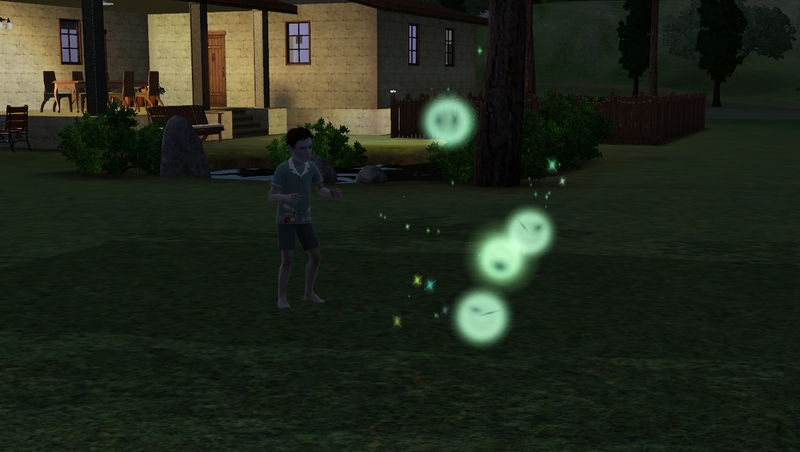 I really love those will-o-wisps. Completely forgot to download the mod, will do today! @meerkattime Thanks for the lovely comments I will work out the table problem but it is annoying at the moment. 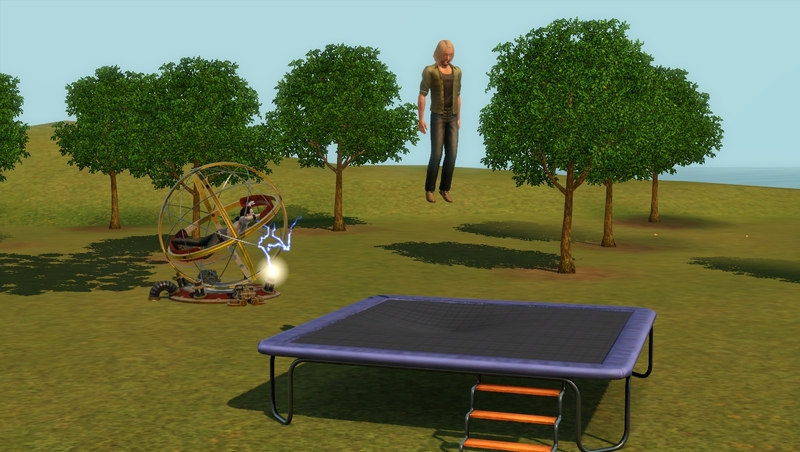 I love the trampoline animations especially once they get some skill on it but I don't like to direct my sims much so I generally just wait until they use it themselves. @lanlyn Thanks for the lovely comments It's a mystery to me why only four meals were served on both occasions. There was nothing blocking any of the table slots. I will try another chair arrangement next time I am in game and see if that makes a difference. I, too, am always relieved as plants die off because some mornings the gardening can take forever! Both Jason and Josh have already got their LTW for perfect gardens so I could reduce the number of plants in the garden but they also have wishes to get career promotions and they are in the self employed gardener career which depends on the sale of their excess produce to advance. @Mikezumi I also saw @CravenLestat's comment in the other thread about there only being 3 will-o-wisp colors. Bummer! I visited my sister yesterday so no time for a full simming session but I did visit my makeover save briefly before bed. I can't remember what I did to Jared but it was only tiny. 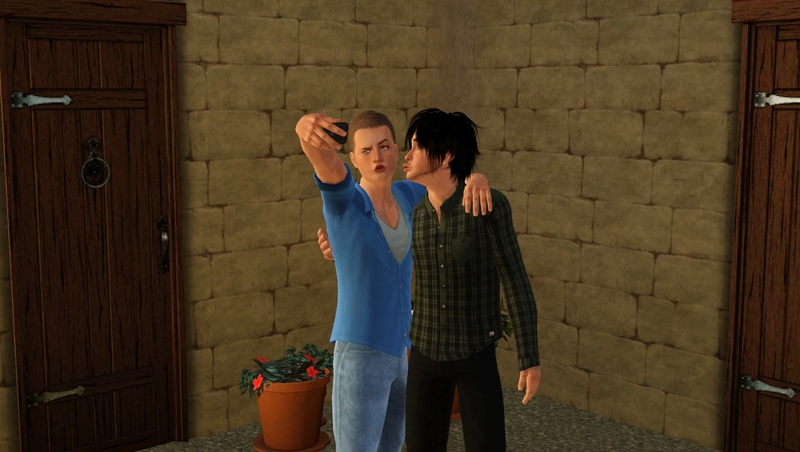 I was just in one of my makeover saves and took a pic of my SS with some of my boys No-one has interacted in this save as I only open it to work on the boys. @Mikezumi Your lovely SS's got attractive company! . 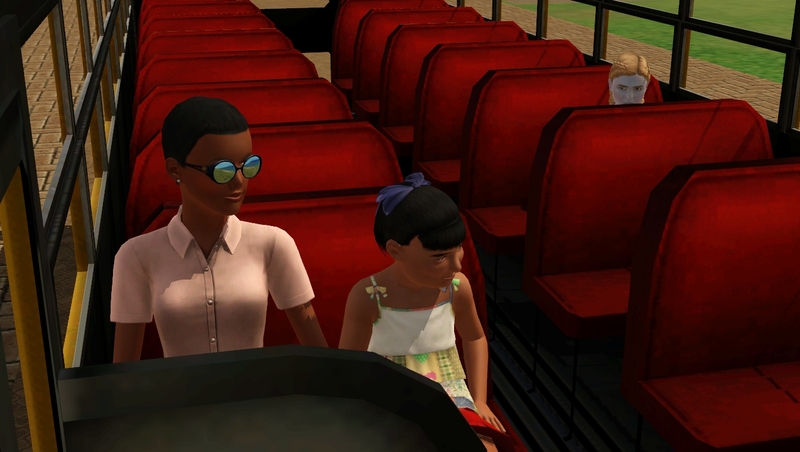 I really wish the development team fixed the invisible performers before they started TS4. Or maybe the lady is just crazy lol. Those are some intense duck faces! 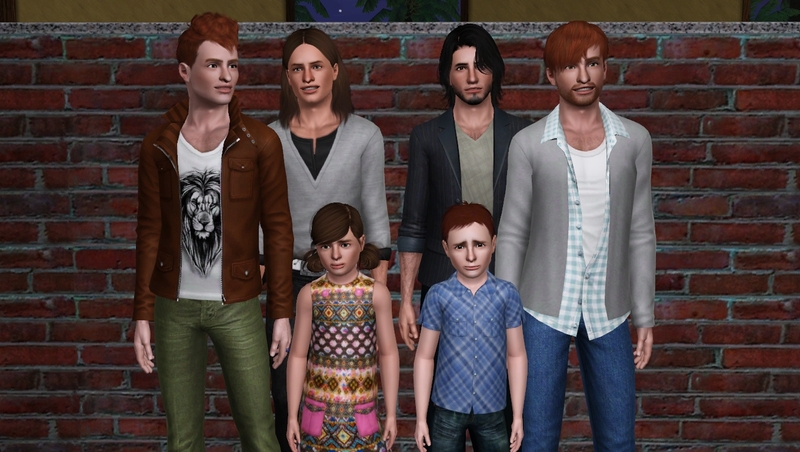 I have a save just for makeovers too but the main difference is that mine is filled with girls, all of them made by CravenLestat lol. @coco I am not sure if it's the table or moving the table to the deck that's the problem. I will try a few different combinations when I next play. Hopefully that will be later today if life doesn't get in the way. 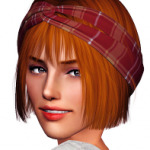 Thanks for the lovely comments I also have a couple of Craven's girls in one of my makeover saves. but I love Jared's works in other stuff. I changed the chair arrangement and only one meal was not served this time. Better but still not good. I had an inkling that the problem might have been due to there not being a chair at every possible place setting. 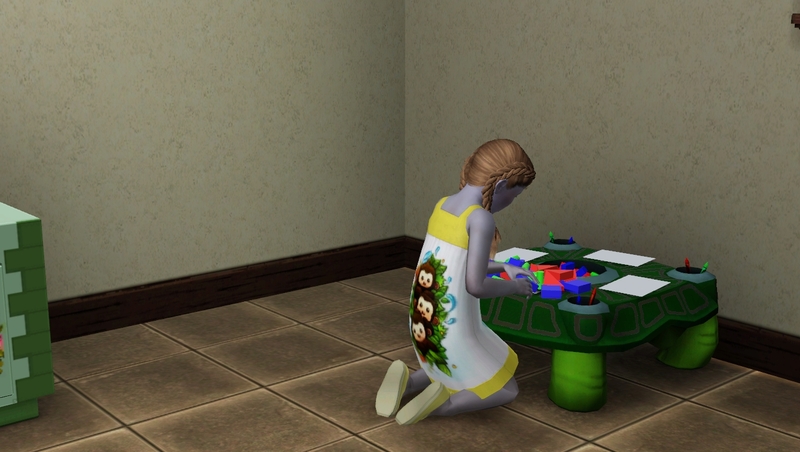 Josie's waking wish was to play with a toy so I got her started on her block table skills. Jason mastered fishing but I wasn't quick enough to catch the 5,000 floating over his head. I was relieved that Jason instigated it because I knew there would be no unexpected pregnancy. 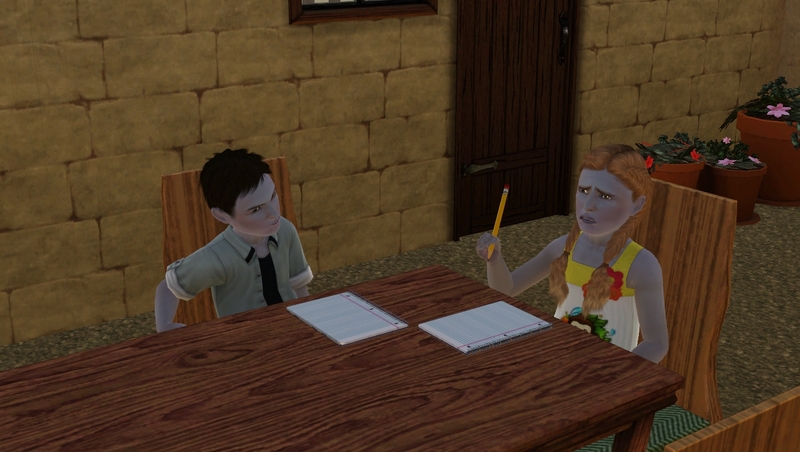 Once again I forgot to enroll the boys in an after school class so they got home early. The children did their homework when they got home from the field trip. 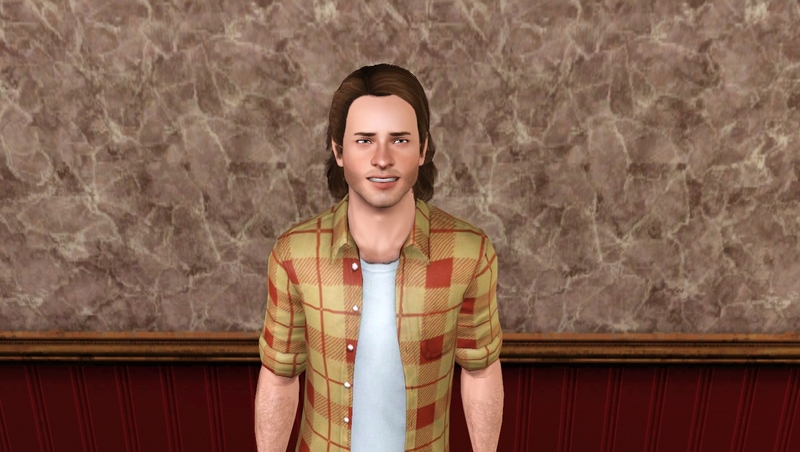 Josh got the party animal trait when he reached the top of the Jock Social Group. 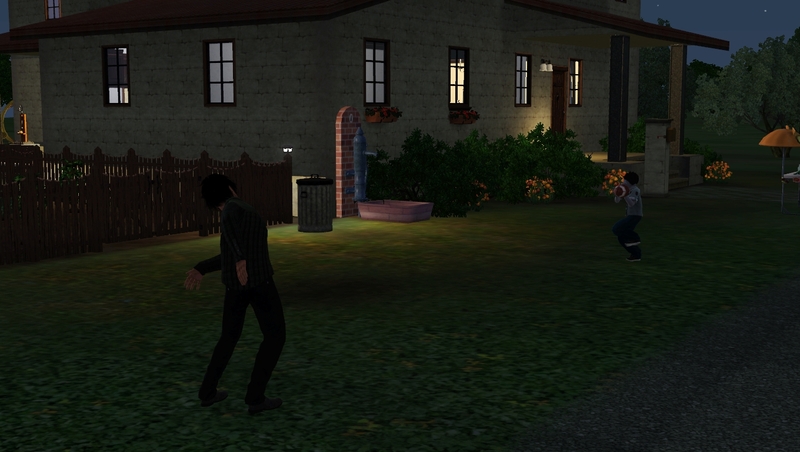 Paul and Ian watched the stars while Josh and Jaxon played catch and Jason worked out nearby. 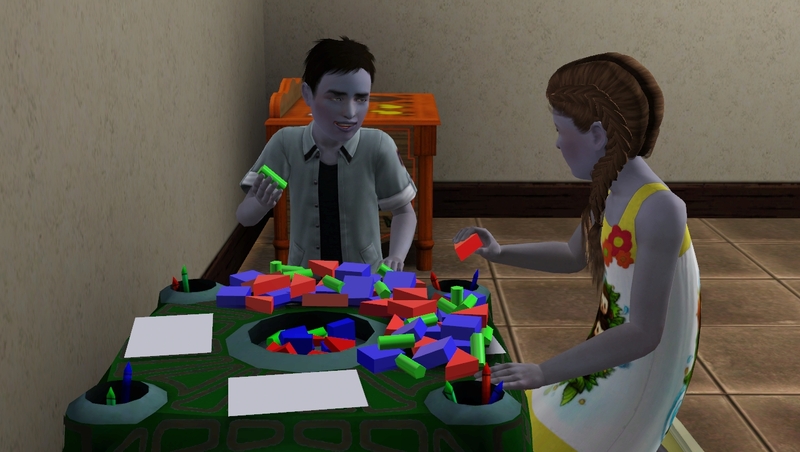 The children worked on their block skills before bed. "Beauty is being the best possible version of yourself, on the inside out." Spent the last couple of days setting up SV for my family to move into. Mikezumi was the first to be added to the town so I could clear it and repopulate it. The family moved in safely today and all was well when I played them. 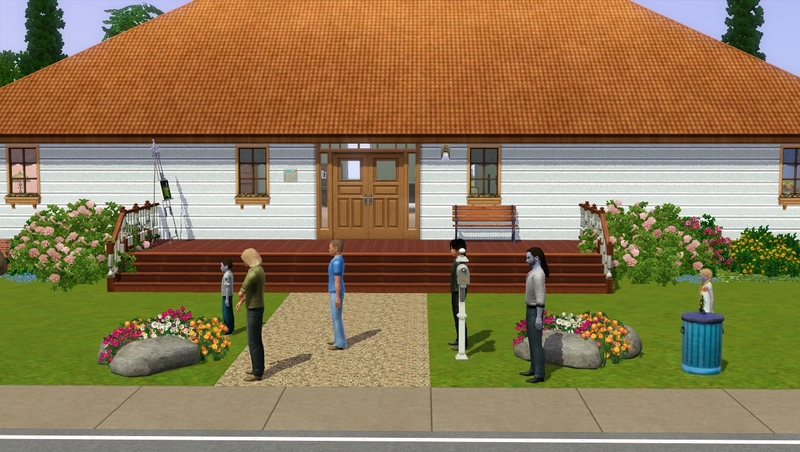 The boys were as flirty as always and they seemed to enjoy their new home I am using the house I built in my 5x5 Challenge save. @Mikezumi Jared is looking good. ...Nice pic of "the boys" with your SS. ...Crazy about the table issues. I hope using the old table solves that problem. ...RE: Ian's ridiculous waking wish. Maybe he was still thinking about a dream he had. Ha! 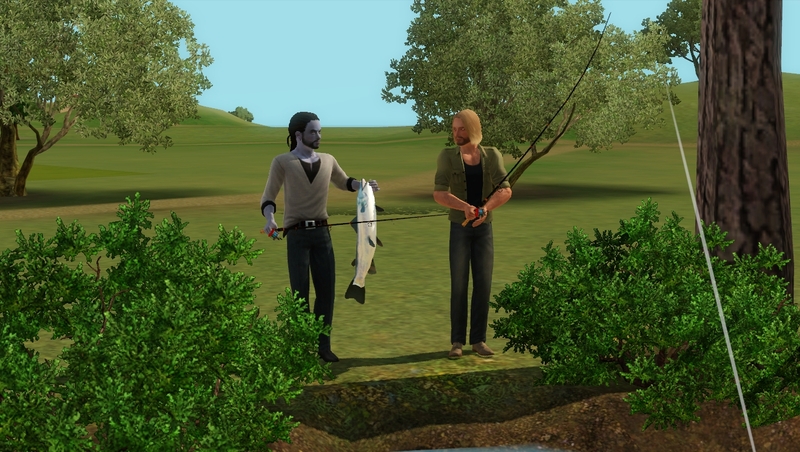 ...Congrats to Jason on mastering the fishing skill. 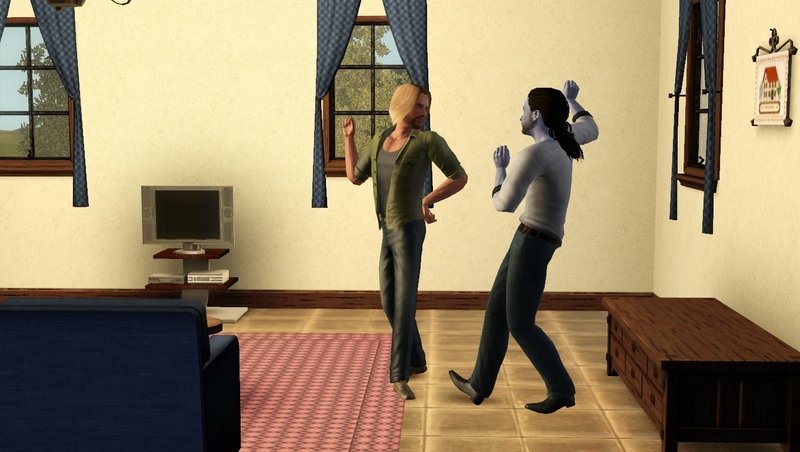 ...I loved those pics of Josh and Jason dancing. Too funny! And congrats to Josh for reaching the top level of the jock social group. 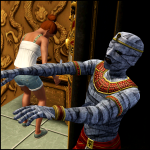 ...Mikezumi is queen of Sunset Valley! ...Neat to see your Jared/Connor family in town too. ...I like your 5x5 challenge house. I'm sure the genie/teens family will be happy there. 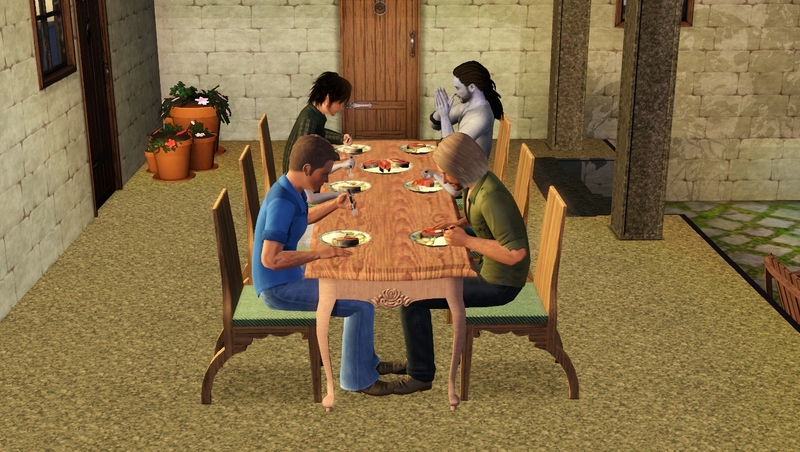 I am pretty sure the problem with the table was the lack of chairs at the table. 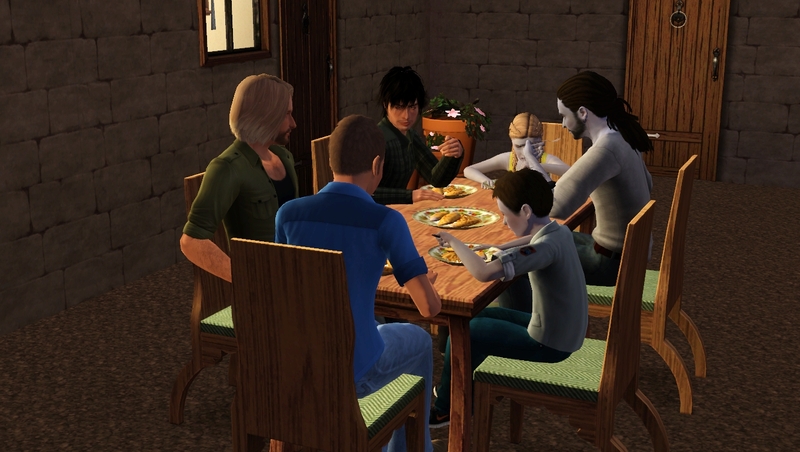 I didn't want to put out 8 chairs because the family didn't need that many but the smaller table with chairs allotted to each space worked fine. I hadn't assigned beds yet so I didn't feel annoyed when Paul and Ian made use of what would be Jason and Josh's bed. 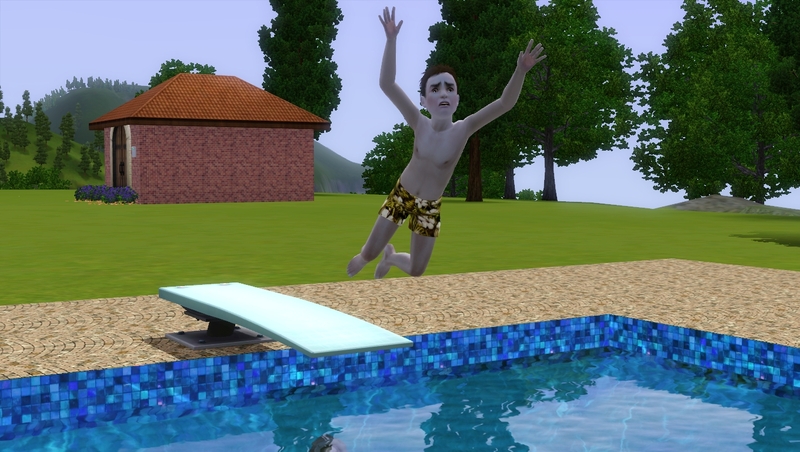 I saw that Jaxon had discovered the pool. 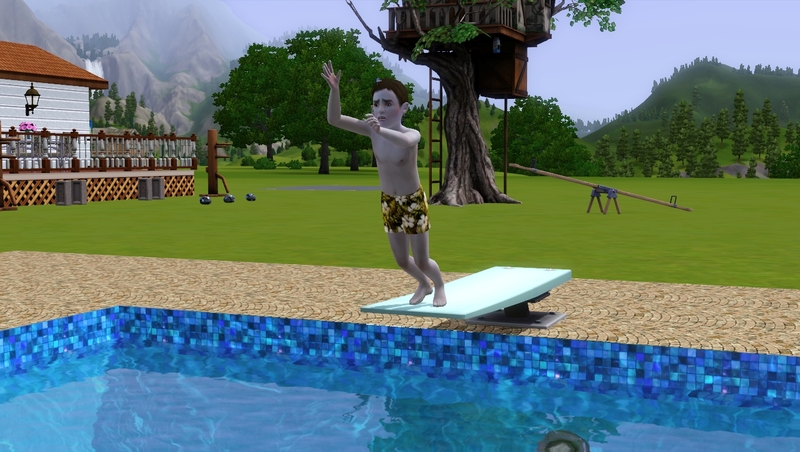 He's athletic so I wasn't surprised that he, like his dads, used the pool autonomously. Josie, a virtuoso, was happy that the new house came with a piano Josh and Jason danced nearby. 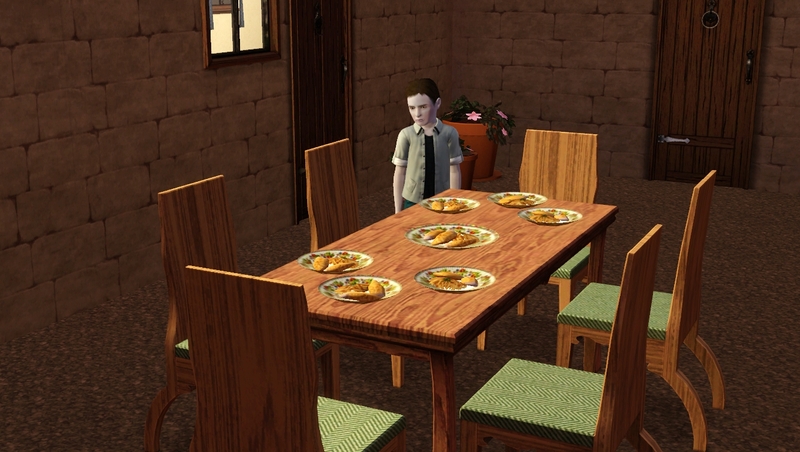 None of the boys had rolled a cooking wish since arriving so Jason summoned grilled salmon for dinner. Of course this triggered wishes to prepare more but only Ian and Paul have the cooking skill to do so. @Mikezumi Hi Mikezumi's SS ! 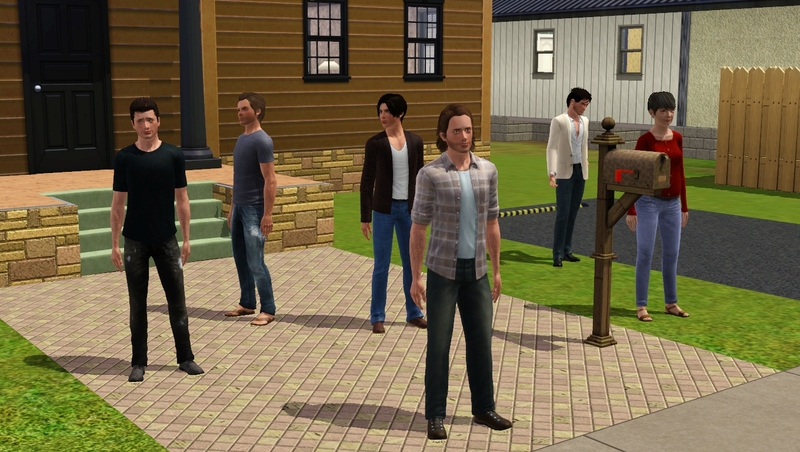 Nice to see Jared, Connor, Alex and Morty and the kids again too . 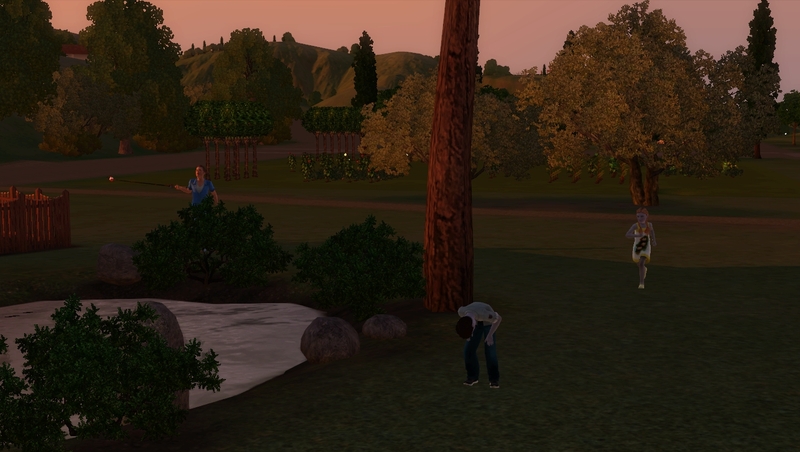 Hope everyone will enjoy their life in Sunset Valley. I'd love the pool too! No wonder they decided to test it as soon as they moved in. Mikezumi seems to be very excited about the text message she got . I'm glad she's got lots of friends in the town already! 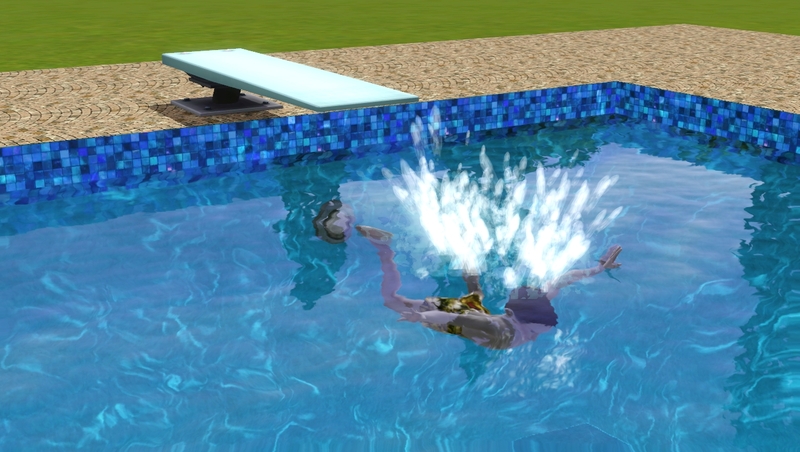 Poor Jaxon slipped! 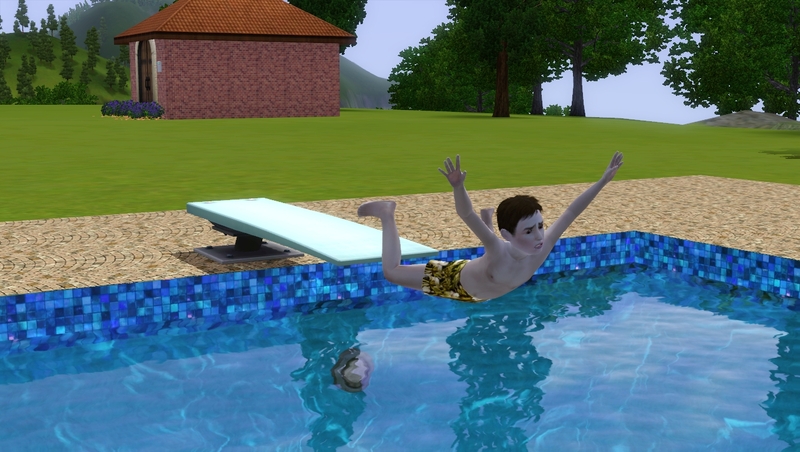 Great pictures of his dive. 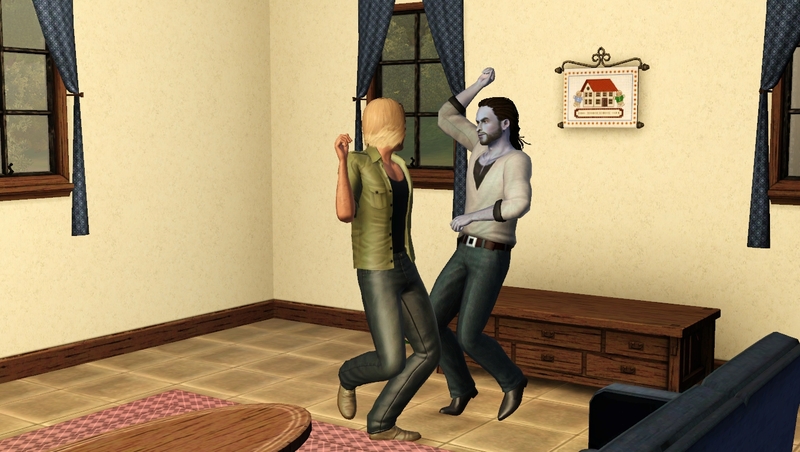 Glad to see your sims are just much in love as before. 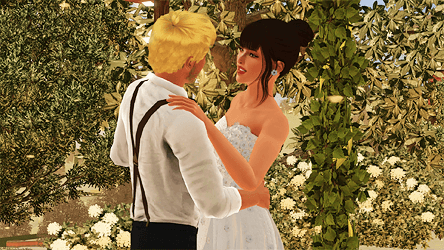 @meerkattime Thanks for the lovely comments I have had saves where my sims haven't acted the same after a move so I am always relieved when it works out well I especially hate it when I have moved sims and their gender preference was wrong and they start flirting with girls!